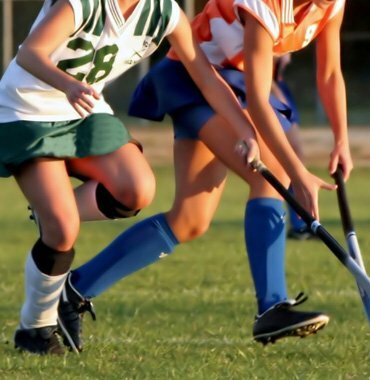 Soft Edges Sportswear –field hockey and indoor hockey uniforms, custom made to your order in Australia. Our team will work closely with you, to take your ideas and transform them into hockey team wear with your own distinctive branding, and ensuring that your club hockey gear has outstanding style functionality and good fit. Hockey is primarily a technique and skill-based game. But another integral part of this game is its uniform and accessories. Like any other sport, the game also needs the players to wear hockey jerseys, shorts and socks during the game as they provide unique identity to the team members. The genuine and proper hockey uniform not only makes players appear organized and professional but also helps their performance on the field. Given the increasing popularity of this outdoor game, a number of hockey uniform manufacturers have mushroomed across Australia & the world, offering all kinds of hockey uniforms and customized hockey uniform collection. Now days, designers are creating fashionable hockey jerseys with illustrated motifs and exact replica of popular players or logos of famous clubs or teams. There are designers that create collections according to the specifications provided by the teams or the club owners. In Australia, custom hockey jerseys, sublimation printed hockey uniforms, hockey socks, skirts and accessories can be purchased from various hockey uniforms suppliers at a very reasonable price. Wear the customized team hockey uniform and feel the difference in your game.